Do you want to pull into your driveway and see your luxurious home’s beauty accented? Do you want your business customers to enter your retail store or industrial site with a well-lit walkway? If you answered yes to one or both, then it’s time to call Create-A-Scape. While most lawn care companies limit their services to mowing and seasonal clean-ups, Create- A-Scape has proudly offered additional services to three counties in New Jersey since 1990. We are not your average lawn care company. Your lawn deserves nurturing and care, but your home or business structure can benefit from so much more. We are committed to more than just your lawn. We are ready to beautify the exterior of your home or business, lighting it up along the way. 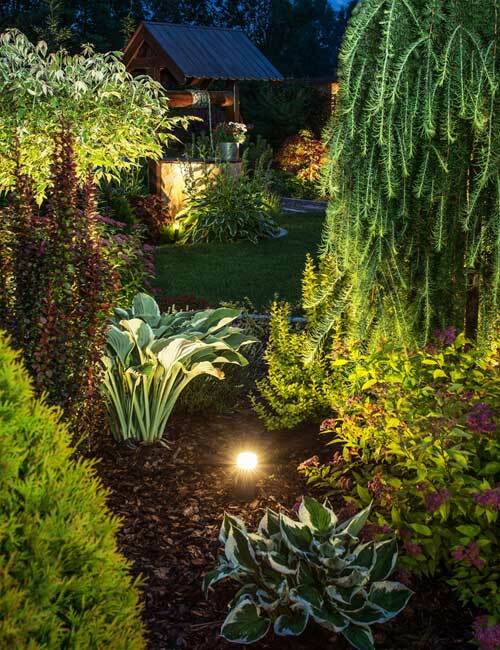 If you’re wondering why you would need outdoor lighting, let us enlighten you. 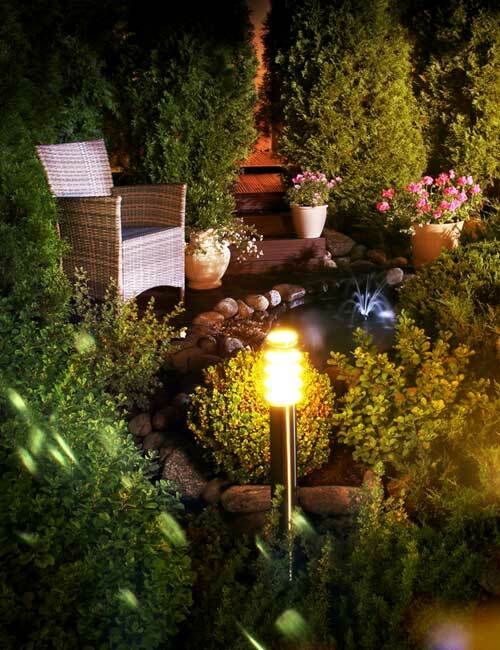 Create-A-Scape wants to light up your outdoor green spaces for security, safety AND aesthetics. Christmas Lights: Show your holiday spirit with the help of Create-A-Scape. Our talented staff can add lights to your home, business, roof line, windows, gutters, trees, and shrubs. Lighting Repairs: Not only do we install and design outdoor lighting features, we also provide repair services. Do you have a light that is not positioned correctly or disabled? Let us diagnose the problem. Advanced Technology: Simplify the process of operating your outdoor lighting features with advanced technology from Create-A-Scape. Many of our light features are equipped with remotes, an electronic eye, or even accessibility from a smartphone app. When it comes to beautifying your outdoor spaces, Create-A-Space has you covered. From snow plowing and shoveling to outdoor lighting and landscaping maintenance, you can find all the premium services you desire and need in one place. With a horticulturist on staff and certified employees, Create-A-Space has the expertise to design and execute lawn care treatment plans and hardscaping with ease.